A year ago today, Donald Trump traveled to Salt Lake City to sabotage one of America’s oldest environmental laws. On December 4, 2017, after a concerted pressure campaign by energy companies and conservative political operatives based in the Beehive State, President Trump signed an order to radically shrink two prominent national monuments there—the 1.3 million-acre Bears Ears National Monument that President Obama established in 2016, as well as the 1.8 million-acre Grand Staircase–Escalante National Monument that President Clinton established in 1996. The decision was the largest rollback of protected land in American history and a gross affront to numerous Native American nations, which had advocated for years for the creation of Bears Ears. It was also a full-scale attack on the Antiquities Act of 1906, a foundational conservation law that allows the executive branch to protect America’s public lands by declaring them national monuments. 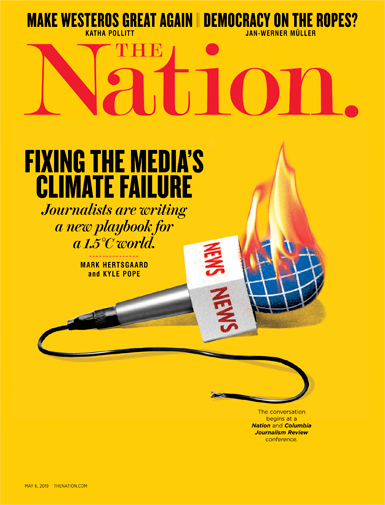 At the time, The Salt Lake Tribune called the actions of Trump and his allies “downright sickening.” Environmentalists, scientists, Native Americans, and many others across the country were outraged as well—they still are. Ever since Trump turned his guns on the Antiquities Act, his administration has faced intense hostility and active resistance from a growing coalition of conservationists, indigenous communities, and politicians across the American West. On the day Trump officially shrunk Bears Ears, five Native American tribes, including the Navajo Nation and the Hopi Tribe, filed a lawsuit in federal court seeking to overturn the action. Numerous conservation groups, including the Wilderness Society and the Natural Resources Defense Council, have also filed suit to restore both Bears Ears National Monument and Grand Staircase–Escalante National Monument to their original size. The cases are ongoing. This outrage is shared by others. Late last month, in a move that shatters the Trump administration’s insistence that its actions in Utah had widespread local support, a number of cities in the state threw their weight behind the legal effort to restore the two national monuments there. On November 19, a group of 17 mayors and city council members across Utah filed two briefs in federal district court supporting the lawsuits against the Trump administration. Jackie Biskupski, the proudly progressive mayor of Salt Lake City, coordinated this legal intervention. Biskupski has distinguished herself in recent years as an outspoken and ambitious leader on environmental, LGBTQ, and other issues in a state largely dominated by the Republican Party. She is, for instance, a leader of the Sierra Club’s Ready for 100 campaign, which works to convince cities around the country to transition to 100 percent clean and renewable energy, and to do so quickly. In 2016, Biskupski herself committed Salt Lake City to powering itself entirely on clean and renewable sources by 2032. She has also committed her city to meeting the goals of the Paris Climate Accord. The mayor’s penchant for environmental sanity extends to land protection as well; she wants to create a future in Utah where outdoor recreation and public lands eclipse resource extraction as an economic force. “We want to move away from a fossil fuel–based economy to a more sustainable economy,” one that is centered on outdoor recreation and land protection, Biskupski says. Her vision, however, was knee-capped by the Trump administration’s rollback of the two national monuments. Among other things, the move opened up vast swaths of southern Utah to new mining and fossil-fuel extraction, and it also alienated key players in the outdoor-recreation industry. Outdoor Retailer, for instance, is the largest outdoor-recreation trade show in the country, and generates tens of millions of dollars in economic activity each year. 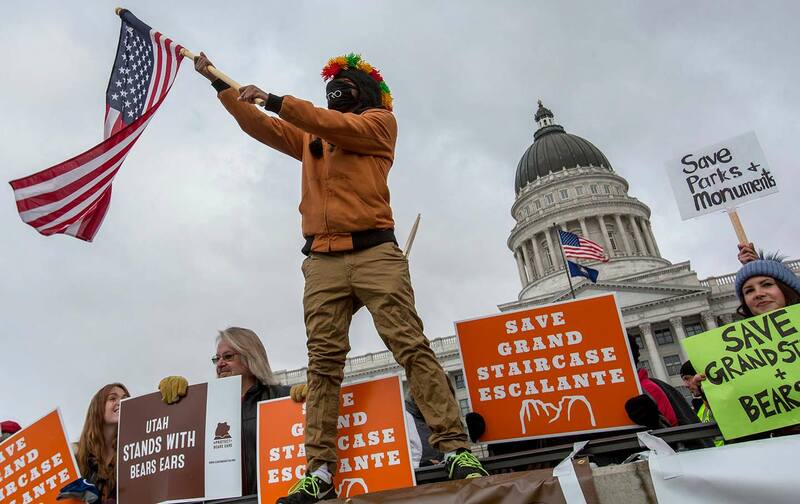 For years, it called Salt Lake City home, but in 2018 the trade show left the state in disgust after Utah’s governor, as well as the state’s congressional delegation, supported Trump’s attacks on the Antiquities Act. Biskupski’s city lost many millions of dollars in economic activity as a result. Sixteen other local elected officials joined Biskupski in filing the briefs, including Ann Leppanen, the mayor of Bluff, Utah, a town of 265 that is wedged between Bears Ears National Monument and the Navajo Nation reservation. Leppanen says the Trump administration shut her community out of its decision-making process as it prepared to roll back the monuments.